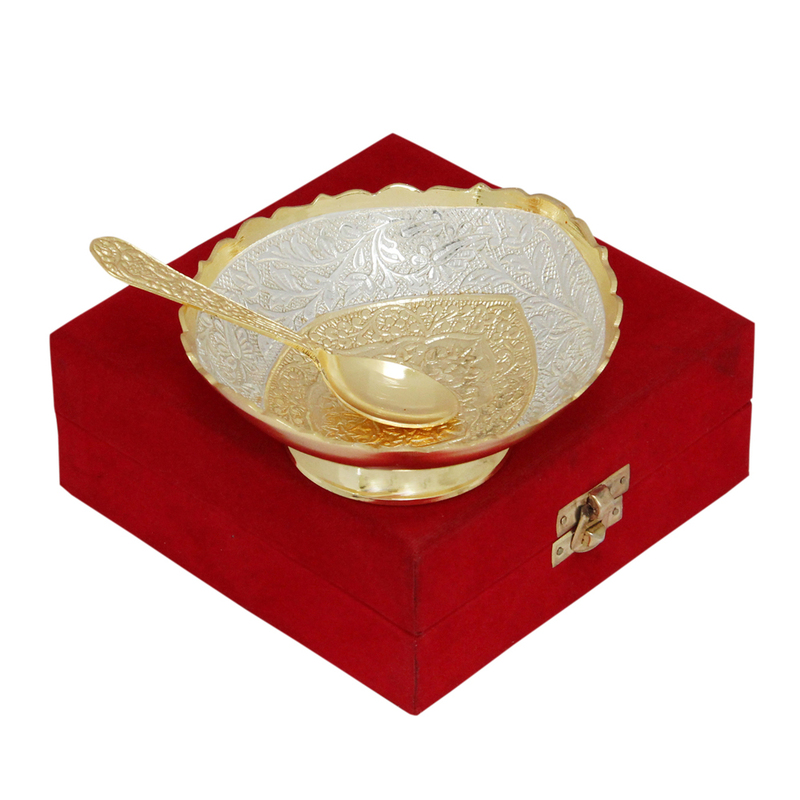 This Gold & Silver Ornate Bowl with Matching Spoon Set is sure to make any dinner table look more visually resplendent with its sheer dazzle Read More..and opulence. The dazzling mix of the warm shades of gold with the silvery shimmer makes this ornate bowl a piece to behold, while the intricate design work on its body adds to its allure. The matching spoon in overwhelming shade of molten gold is ideal for making this set the cynosure of all eyes on any dinner table. Show Less..